Every Christian can reap the benefits of prayer. Through Murray's writings, you will find out how your devotions can be transformed so that you can realize the fullness of God's love, peace, and divine power in your daily walk. Lovingly explained, the principles presented here will permanently alter your prayer life. Andrew Murray On Prayer by Andrew Murray was published by Whitaker House in August 1998 and is our 19579th best seller. 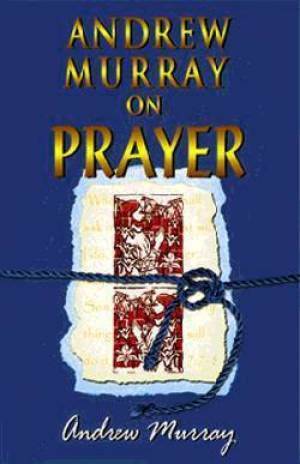 The ISBN for Andrew Murray On Prayer is 9780883685280. Be the first to review Andrew Murray On Prayer! Got a question? No problem! Just click here to ask us about Andrew Murray On Prayer.